Dowel or thorn in a notch of a log shell. 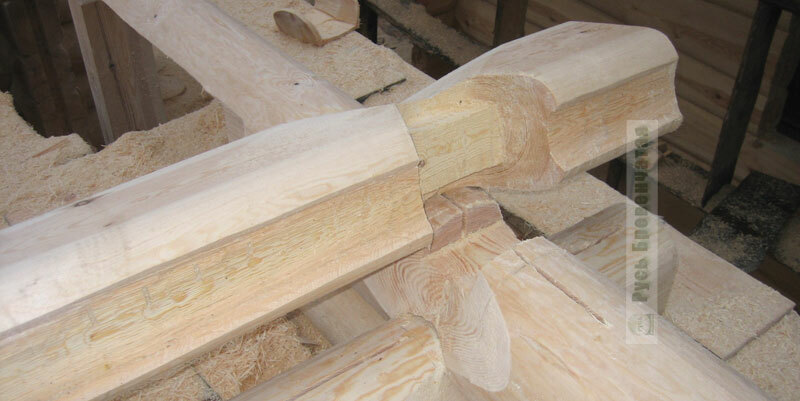 Use of a special dowel ("fat tail) in the Canadian technology of log house building. Initially the Canadian technology assumed only use of notches. But masters of the company "Log Russia" have gone further and have added notches with the special dowel (thorn) named sometimes a "fat tail". 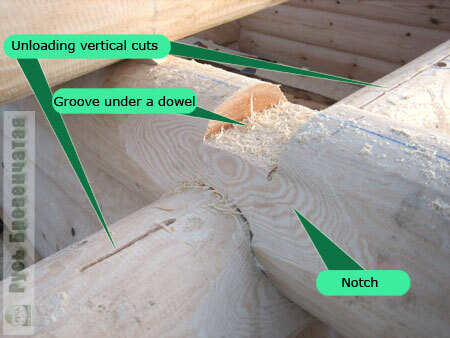 What the notch with a dowel and a groove under a dowel represents itself is shown in fig. 1. 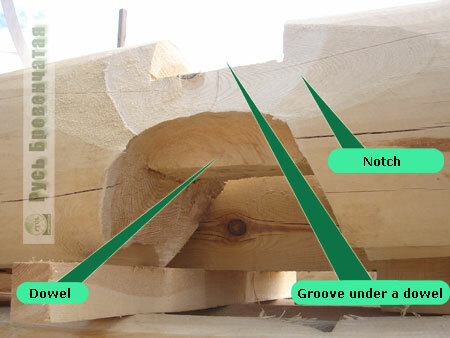 As we see, the dowel is located in the bottom part of a log, and in its top part there is a groove under a dowel of the log which is above in a notch (the groove is directed perpendicularly to a dowel). So for what the dowel is necessary? Actually, despite the simple form, it is a difficult element which far not all building companies in Russia undertake. The dowel is intended for warming of corners of the house and elimination of their "venting" after shrinkage of a log shell of Your handcrafted log home. The dowel and, accordingly, groove for it is inconvenient for making with only one axe, so mathematical accuracy, qualitative tools and masterly possession of them are necessary (fig. 2). 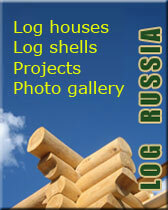 Craftsmen of the company "Log Russia" have all three specified components. In a following drawing the basic operations on dowel manufacturing, including its antiseptic processing are shown. We appreciate our reputation, therefore processing of all latent surfaces of logs by an antiseptic enters into its cost. You can read more about it in section of "Antiseptics". In fig. 4 the following stage of making of a bowl is presented - creation of groove under a dowel, shown on fig. 3. Estimate exact and accurate possession of the tool of our masters. 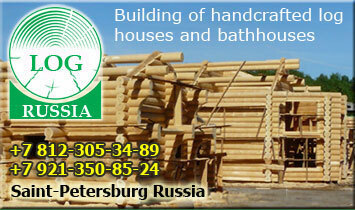 In summary it is necessary to add, that in our company you can order a log shell made by any technology: a simple round Russian bowl, the Canadian bowl, the Canadian bowl with a dowel, the Norwegian notch (it also includes dowels) - the choice is for you, we will try to give you the most exact characteristic of each method as you could make the considered and weighed decision.